In the past people could only get work done in two places: their office, and their home. Nowadays, thanks to the multitude of gadgets we can rely on, we can take our work everywhere with us. The easiest way to get some work done on the go is carrying a laptop or a tablet around. The downside of laptops is their size, even though they become more and more portable with every generation, while the tablets have a minus consisting of the operating system which is usually iOS or Android. People can work on these too, thanks to the thousands of apps that make our lives easier, however, desk work usually implies editing documents, and to be honest, you can best do this on a Windows- operated device. In case you need a reliable pocket computer, the Ockel Sirius A can become your new best friend once it will be officially released. For now, the Ockel Sirius A is still in the form of an Indiegogo project, but the developers promise to deliver by May 2017. Let’s start with the design. This particular mini PC can fit in your pocket, and it has an interesting design, that doesn’t resemble anything we’ve seen until now in this field. At first glance, it may look like a tablet or smartphone, but given its shape, it doesn’t really resemble neither of these gadgets. 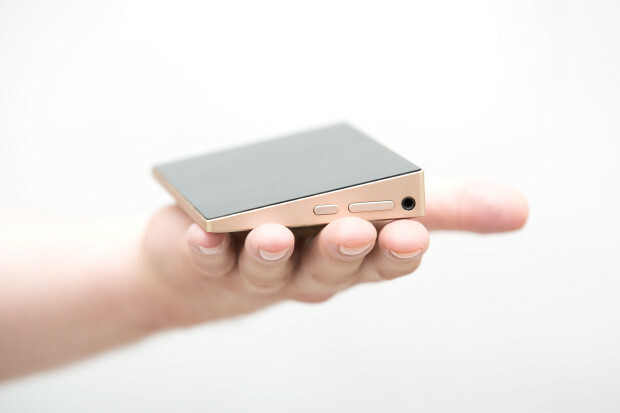 The finish of the device is also quite appealing, so it won’t be a drag to pull it out of your pocket or purse. In fact, it seems to me that it looks a little like a cool wallet. But it is a smart device, not a dull accessory. The Ockel Sirius A is equipped with an Intel Atom x7-Z8750 processor, and it includes 4GB of LPDDR3-1600 RAM and 64GB of eMMC flash storage. It features a 6-inch full HD glossy multi-touch panel with 4K and UHD support, and when it comes to connectivity, this little guy will make your jaw drop. The Ockel Sirius A has no less than six ports: two USB 3.0 ports, a DisplayPort, a full-size HDMI port, a USB Type-C port, and a LAN port. Besides these, there is also a microSD card slot, in case 64GB won’t be enough internal storage for your work or media content. And all these are squeezed in a small device that you can take everywhere with you. The 3000mAh battery is able to ensure up to 4 hours of video playback time, and the gadget also features a front-facing camera, a microphone, and speakers. It also offers Wi-Fi and Bluetooth connectivity, so users won’t miss out on anything. 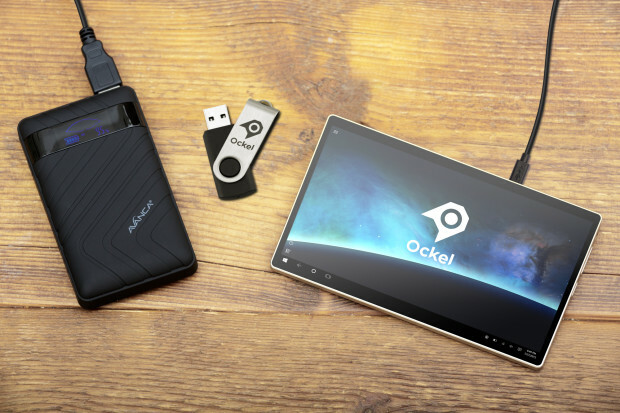 What really turns the Ockel Sirius A into the perfect mini-PC is the fact that it runs on Windows 10. 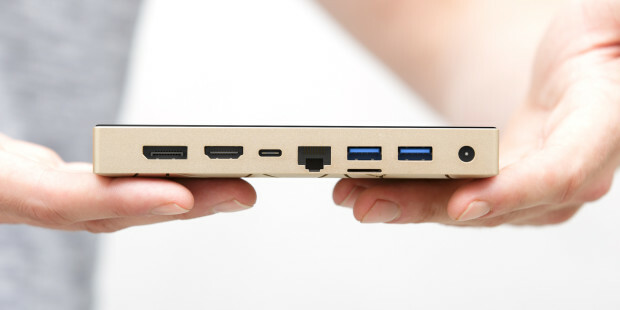 As a matter of fact, this little thing can offer everything you can get from a desktop or a laptop. It comes with a full 64-bit Windows 10 Home version installed, and it runs all Windows programs. It can be connected to any screen, making work even easier than on the 6-inch display of the device. The developers have even partnered up with Microsoft in order to deliver a unique Switch Mode. 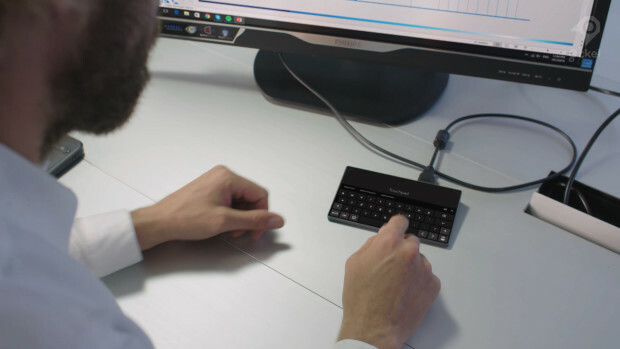 Thanks to this feature, once the device is connected to an external screen, the Ockel Sirius A automatically turns into an input device, so it can be used as a keyboard or a mouse, depending on what is needed. The device is scheduled to go into mass production starting April 2017, in case the developers manage to raise enough funds to start their work. Given the fact that 76% of the $100,000 flexible goal was already raised, it’s safe to assume that they will manage to carry on with their work and deliver what really seems to be one of the most powerful mini-PCs out there. Would you like to own one of these devices? If yes, what would you like to use it for?